Improve your shooting form when in the office and have excellent fun with your kids using the Spalding Euroleague FC Barcelona miniboard. 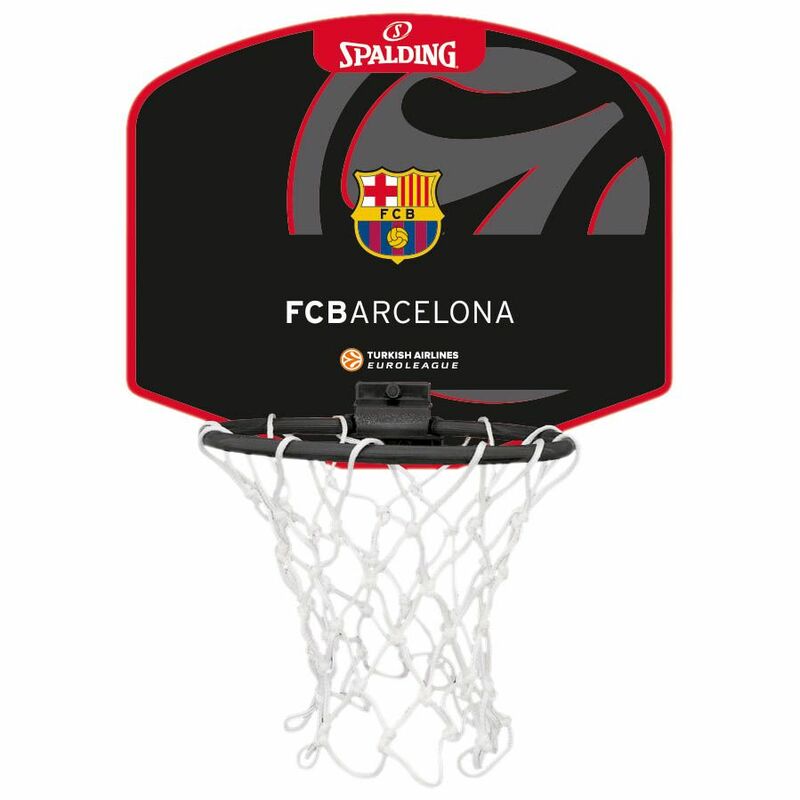 Designed for true FC Barcelona fans, the board features logos of your favourite team, Spalding and Turkish Airlines Euroleague and lets you shoot hoops while watching the game. Quick and easy assembly is provided by adhesive pads and the miniboard comes complete with a size 1 soft miniball. for submitting product information about Spalding Euroleague FC Barcelona Miniboard We aim to answer all questions within 2-3 days. for submitting product information about Spalding Euroleague FC Barcelona Miniboard. We aim to answer all questions within 2-3 days. If you provided your name and email address, we will email you as soon as the answer is published. for submitting product review about Spalding Euroleague FC Barcelona Miniboard.